We believe that there are some things that should be done in the traditional way. For us that means working closely with farmers who produce top-quality cattle, sheep, pigs and poultry, as we’ve always done. For generations we have formed firm and lasting relationships with the best livestock farmers in Scotland. 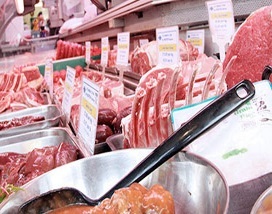 They provide us with a complete naturally reared product with total traceability from farm to plate. We also use the highest-standard methods of preparation – for example, all our beef is matured on the bone in our specialist refrigerator. Our steaks are matured for up to 21 days for that extra-special flavour and texture. Where do we source our meat from, and why is this important? We source from the same farmers we’ve used for many years, because we know they can be relied on to produce top-quality animals. We think it’s better for everyone when it comes from your own doorstep: the meat is healthier, we know its provenance and we can support local farmers. We source our beef and lamb from George McFadzean of Woodhead Of Mailer Farm, and J Peters & Son of West Bog Farm, Kinnordy. Our chicken comes from specially selected UK farms. And that’s why we’re able to supply our customers with the highest-quality meat and poultry, just as we’ve always done. We supply beef, lamb, pork, lamb and chicken for you to take away and cook, and we’ll also supply oven-ready and cooked products, plus our made-in-house sausages, burgers and stir-fries. 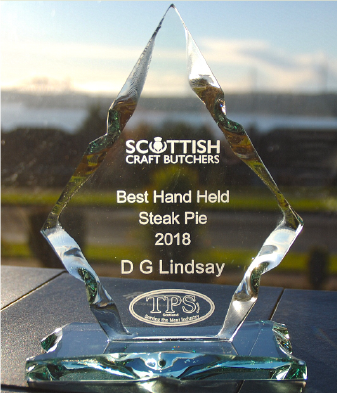 If you’d like to find out more about our award-winning products, make an order, ask any questions or discuss anything else, we’d love to hear from you.